This page is provided as a way to meet other genealogists who might be able to help you with your family research. Click on the surname to generate an email to the person listed as interested in that surname. 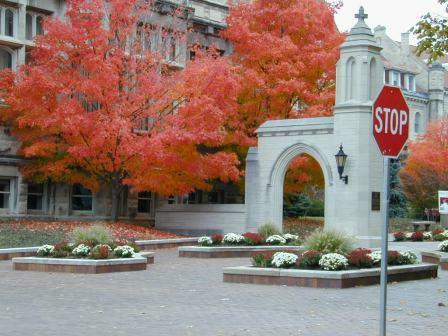 by clicking on the photo below taken at the Sample Gates entrance to Indiana University. Richard Branham (1790 - 1865) and descendants 10 children by wife Rebecca Witt: Lucinda, Elizabeth, Wilson, Wesley, Henry, Mary Alice, Mahala, Rebecca C., Moses W., & Richard Jr..
John Griffith (1774 - 1865) and descendants 7 children by 1st wife Deborah Lewis : Susannah, Mary John L. Elizabeth, Ellenor, Nancy & Deborah 1 child by 2nd wife Elizabeth Armstrong: Isaac T.